Your complete industrial Cleaning Service partner. With a client-first focus, unrelenting attention to detail, and 20 years of industry leading experience and expertise throughout London and area, we are able to deliver services to any scale. 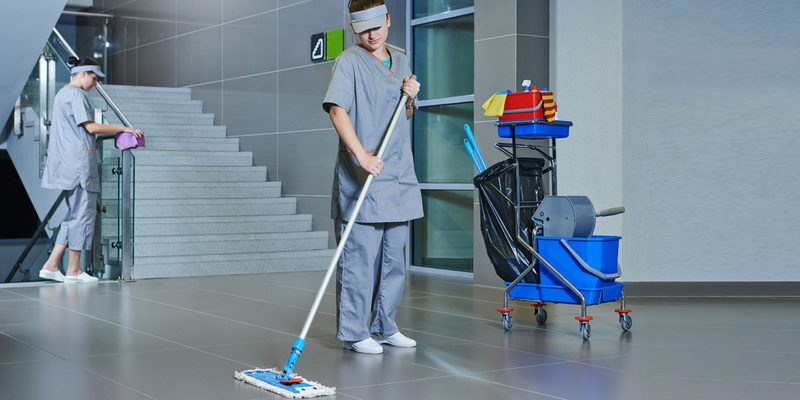 Provincial Cleaning Services and Supplies is a proven leader in janitorial and facilities management taking great pride in providing you with the highest quality service. Our long standing success is attributed to our customer-centric and individualized client approach in understanding each customer’s needs are different. You can rely on us to be your proven partner, delivering service and cost-savings so you can focus on your company goals while we take care of the rest. Our proposals are based on our commitment to quality and the professionalism of our staff. As you move towards a decision, we assure you of our ability to deliver, including a smooth transition to our services. We invite you to request a quote or contact us to answer any questions you may have. Our rigorous screening and training process ensures professional, dedicated, well trained and experienced staff. Our employees understand the importance of confidentiality and the expectation to uphold confidential information at all levels under every circumstance. Our employees are WHMIS trained and our cleaning supplies adhere to eco-friendly standards, providing responsible higher standards of service and safety. All employees are provided superior personal protective equipment to ensure their safety on every job. A partnership with Provincial Cleaning Services and Supplies is more than a contract, it’s a guarantee.